I'm hosting the first ever Read the Nobels 2016 Reading Challenge. You can join in any time of the year and all it takes is to read one book written by a Nobel Prize for Literature laureate. You can sign up HERE. This is part of a bigger, perpetual challenge. If you'd like to get more Nobel Prize winning literature in your TBRs in your lifetime, check out the Read the Nobels blog. J.M. 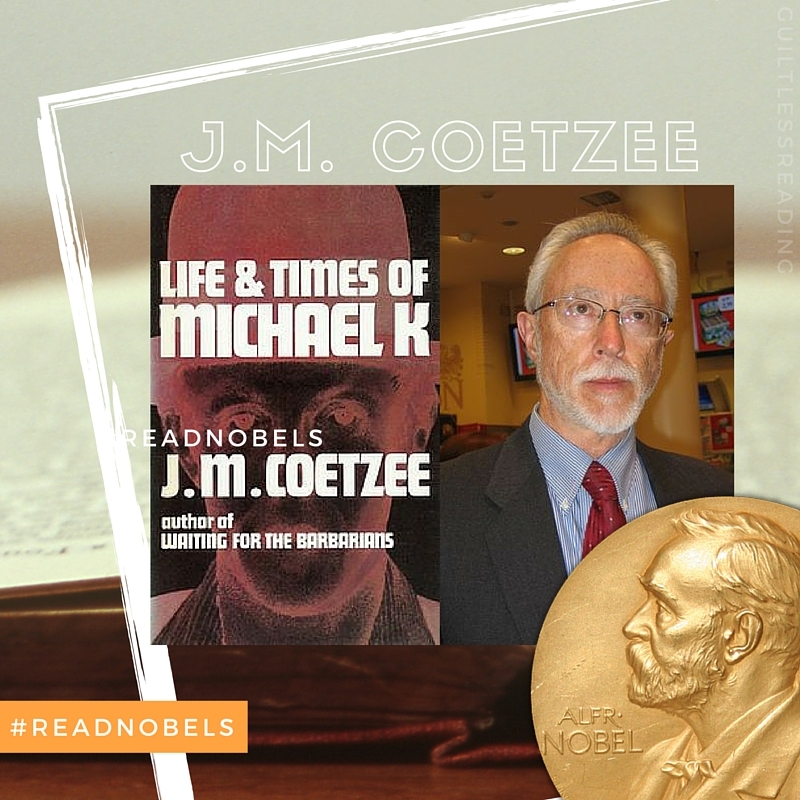 Coetzee: The Nobel Prize in Literature 2003 (South Africa)... "who in innumerable guises portrays the surprising involvement of the outsider" (nobelprize.org). 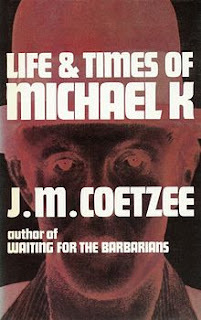 Synopsis of The Life and Times of Michael K by J.M. Coetzee: In a South Africa torn by civil war, Michael K sets out to take his mother back to her rural home. On the way there she dies, leaving him alone in an anarchic world of brutal roving armies. Imprisoned, Michael is unable to bear confinement and escapes, determined to live with dignity. Life and Times of Michael K goes to the centre of human experience - the need for an interior, spiritual life, for some connections to the world in which we live, and for purity of vision. Review snippets from Read the Nobels.